CRIME PREVENTION DISCOUNT OFFERED TO GREENBURGH RESIDENTS WHO CONNECT DOORBELL TO SMARTPHONE VIA WIFI NETWORK---WATCH PEOPLE RING YOUR DOOR BELL FROM ANYWHERE IN THE WORLD! Shortly after I posted the information about ring.com I was contacted by a Greenburgh resident who knows people affiliated with the company. He arranged for Greenburgh residents to get $25 off of ring.com doorbells. This is only if you go through the company directly and if you mention that you heard about the discount. Before you go through the company website you should shop around. The police chief advised that he saw the Ring.com on sale for $125 recently at PC Richard. Pricing could be very competitive. If there are less expensive or other options that have worked for you or your friends - please advise so I can share the info with residents. All Lowercase. As we discussed, the promo code can be applied to the Ring Video Doorbell, Video Doorbell Pro, and Stick Up Cam. Use the link ring/p/44greenburgh to be taken directly to the check out. The Ring Video Doorbell lets you answer the door from anywhere with your smartphone. Connects to your Wi-Fi network and works with iOS and Android devices. Last month when the Police Chief, Chris McNerney, and I were patrolling the streets of Greenburgh on Halloween night, the Chief showed me an inexpensive way for you to protect your property. 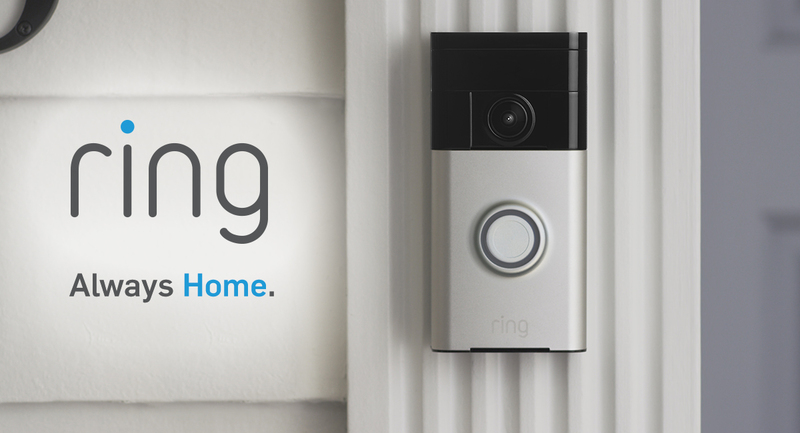 A Ring.Com doorbell/security unit provides you with immediate video and audio communication to your smartphone when the doorbell button of your home is pushed (via a Wi-Fi connection). If you are on vacation, out during the day or night you get to see who is at your door. Burglaries and crime continues to be low in Greenburgh. But low crime is still too much. Taking advantage of technology could help keep Greenburgh a safe place to live and work. we encourage residents to consider these inexpensive security devices. I am also attaching a link to the Ring.com doorbell/security unit. We believe that The Ring.com doorbell has many security features that can help residents protect themselves from being victimized and assist law enforcement with follow up investigations. · Investigations have found that burglars often ring a doorbell or knock on a front door to test whether a home is occupied. · The Ring.com doorbell provides immediate video and audio communication (to any smartphone) when the doorbell button is pushed (via a wi-fi connection). · The Ring.com doorbell has standard options to additionally activate the recording mode when motion is detected. For hard-wired installations, live time viewing is an additional option. · The Ring.com security doorbell can be expanded to include “smart door locks” and other Ring.com units. · The Ring.com doorbell is easy to install by using existing electrical wiring or a rechargeable battery (included with purchase). · Cloud storage (for recordings) is very reasonable. · Ground floor windows left unlocked and/or open. · Residence doors left unlocked and/or open. · Garage doors left open. · Accumulated newspapers outside residence. · Mail accumulated in mailbox. · Packages left in plain view. · Setting your alarm. Many times, burglary victims have alarms that were not set. · Installing exterior lights with motion sensors. · Securing valuables in discreet locations other than the master bedroom. · Partnering with the police. If you see something suspicious, call police. INTERESTED IN PARTICIPATING IN A NEIGHBORHOOD WATCH PROGRAM? Residents who would like information on how to make their homes more secure or be involved in a neighborhood watch program should contact Sergeant Norman Hall of our Community Policing Unit at 914-989-1715 or nhall@greenburghny.com.